Cruelly cast out by the new leader of the ancient Clan that adopted her as a child, Ayla leaves those she loves behind and travels alone through a stark, open land filled with dangerous animals but few people, searching for the Others, tall and fair like herself. The short summer gives her little time to look, and when she finds a sheltered valley with a herd of hardy steppe horses, she decides to stay and prepare for the long glacial winter ahead. Living with the Clan has taught Ayla many skills but not real hunting. 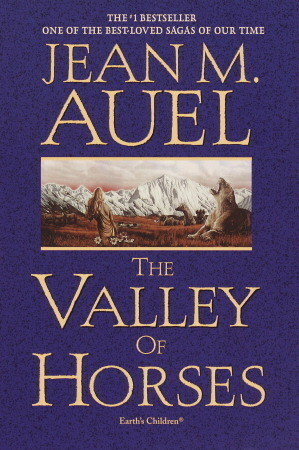 She finally knows she can survive when she traps a horse, which gives her meat and a warm pelt for the winter, but fate has bestowed a greater gift, an orphaned foal with whom she develops a unique kinship. One winter extends to more; she discovers a way to make fire more quickly and a wounded cave lion cub joins her unusual family, but her beloved animals don't fulfill her restless need for human companionship. Then she hears the sound of a man screaming in pain. She saves tall, handsome Jondalar, who brings her a language to speak and an awakening of love and desire, but Ayla is torn between her fear of leaving her valley and her hope of living with her own kind.